EES provides assistance with many facets of boiler and emissions testing as well as compliance services. Our complete line of testing services from fuel characterization to emissions and specialized on-site combustion assistance are designed to deliver the value that utilities, manufacturers, power generators and plant operators need to meet their financial goals. From stack testing to complicated process optimizations – EES helps your business deliver results. We provide: Fuel Analyses and Studies – including slag and deposit analysis and treatment, emissions forecasting, performance evaluations. 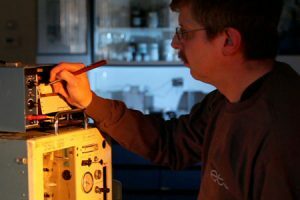 Emission Testing and Monitoring – emissions testing including FTIR analyses, continuous SO3 monitoring (true SO3 testing, not inferred data), in-furnace testing, particulates, gas analysis, water analysis, absorber testing, laboratory evaluations, and more.